Assemble a team of the world's most dangerous, incarcerated Super Villains, provide them with the most powerful arsenal at the government's disposal, and send them off on a mission to defeat an enigmatic, insuperable entity. 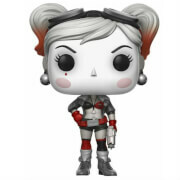 Psycho meets vinyl with the Suicide Squad Pop! Vinyl Figures! From the film Suicide Squad, El Diablo is featured with his iconic tattooed face and baseball jacket. Collect them all for the ultimate deadly team. 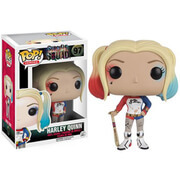 This Suicide Squad El Diablo Pop! 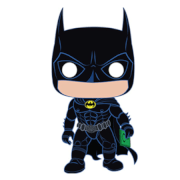 Vinyl Figure measures about 3 3/4-inches tall and comes packaged with a window display box.